The presence of such a necessary assistant as a charger is necessary for every driver. After all, very often there are situations when the battery discharged or you need to start another device during the trip, but the battery cannot do it. For this, self-contained start-up chargers or jump starters used thanks to which you quickly and efficiently restore battery power. portable devices. They have more weight and dimensions, while perfectly and quickly performing the function of recharging the battery with a voltage of 12 or 24V. Some options are equipped with a car compressor and LED flashlight. Despite the clear advantages of each type of autonomous ROM, the first type is still more popular and, most likely, after a while, will completely replace the portable options. Autonomous charging devices are equipped with a battery, due to which they charge other devices. 1. High frost resistance characterizes rechargeable batteries in ROM – they can use at temperatures up to -20 degrees, as well as in heat or at high humidity. 2. The possibility of long-term storage charge. 3. They have no self-discharge function or a «memory» effect, which is not always necessary and effective. 4. The device is fully autonomous; there is no binding to the grid. 5. The compactness of the device allows you to carry or carry it, putting it in the trunk or in a bag; it does not take up much space. Thus, the presence of such a device is more a necessity than an additional accessory. You can select this device on our website using the search by manufacturer and other parameters. 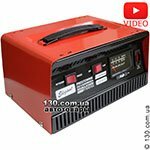 On 130.com.ua you can buy Portable Jump Starter in Kharkov, Odessa, Kiev with delivery in Ukraine. The main function of autonomous starting and charging devices is engine starting. It does not matter in what condition the battery is discharged or with a deep discharge. Therefore, having a high-quality modern ROM, the driver will be easy to start the engine. In addition to the main function, the jump starter designed to supply power or recharge the batteries of other devices. This may be an electric shaver or mobile device, tablet or laptop. In this case, the booster can be equipped with different adapters or a USB port for recharging mobile devices. the presence of a panel or display to control the charging process. Many modern jump starters are also equipped with a LED flashlight. With it, the recharging process can go much faster – they can light up the work area, after which it is easy to connect the necessary devices. It can also used as a lamp during a picnic or as an emergency light signal. One of the most important parameters that must considered when choosing a booster is the inrush current. It depends on the efficiency and performance of the device. It is important to take into account the factor that this figure should be lower for gasoline engines and higher for diesel engines. On the other hand, these data can found by examining the battery of your car and it shows the necessary parameters for charging it. on diesel – at least 300A. It should be borne in mind that for a car with an engine capacity of up to 4 liters a ROM with a starting current of 300-400 A or more will be suitable. However, for cars with an engine up to 7l and more, you need a charger with a rated starting current of 600-900A. Many companies-manufacturers of chargers have long been engaged in the release of autonomous ROMs, which in terms of functionality and efficiency are not inferior to stationary devices. Among the leaders in sales and popularity, there are several brands. 1. Devices of the well-known French brand GYS have excellent functional capabilities, have good starting parameters and relatively low cost. Differ in high performance. Almost all models are additionally equipped with a LED flashlight and car compressor. 2. Devices of the American manufacturer Carku characterized by high rates of starting current. They can charge rechargeable batteries 12 or 24V, have all the necessary outputs and connectors for recharging different devices. In addition, many models have a starting current of 2000A, and their battery capacity can be 4000 Ah. 3. The devices of the British manufacturer Ring differ in stable operation, stable output current, as well as a variety of operating modes. These functions make them versatile devices for fast and high-quality charging. 4. Jump starters SmartBuster – compact devices with excellent power and performance. They have inputs, adapters and connectors for smooth and fast recharging not only car batteries, but also laptops, tablets, smartphones and other electrical appliances. The choice of autonomous-type starting and charging devices is quite large; everyone will be able to choose for themselves the best option according to type, purpose, starting current and type of voltage. To help realize this purchase can managers of our site, providing detailed advice on the selected model of booster. 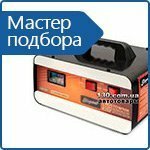 You can buy start-charging equipment with delivery in Ukraine to Kharkov, Kiev, Odessa at 130.com.ua. Looking for a quality and the best battery chargers? This rating of battery chargers is made on the basis of such parameters as: high demand with positive feedback from our customers, high-quality manufacturing — absence of factory defects and service calls, and official warranty and post warranty support in Ukraine. Master selection of chargers will help you choose the charger to the car battery on the basic criteria, such as the type of charger and rechargeable battery voltage. How and how to charge a calcium battery? How to choose the right car charger? Often there is a situation when the car sits battery. It can be not only in the cold, but also because of the lights, the radio and much more. In such a situation, a start-up charger for a car battery will perfectly help. The analysis of the main differences between starting and starting-charging devices. Why do we need car launchers?